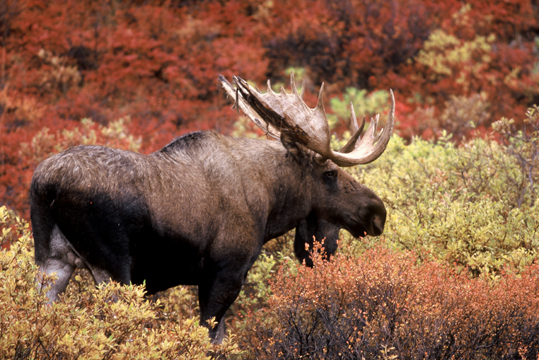 The moose is the largest member of the deer family and the Alaskan moose, Alces alces gigas is the largest of all moose. 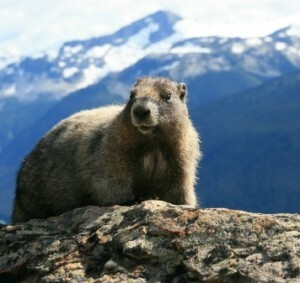 The hoary marmot (hoary = gray in color) is common in Denali National Park. It weighs 10 or more pounds and may be over 24 inches in length. Members of this family have true horns (made of Keratin while antlers are made from bone) which are never shed and not branched. The beaver is North America’s largest rodent. Their castor glands are located near the base of the tail. They live in the wild about 10-12 years. 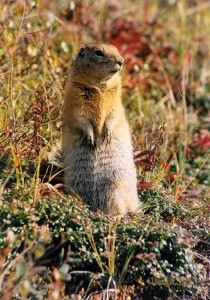 The arctic ground squirrel is a keystone species and very important in the diet of many of the Park’s carnivores. They are about 90% of the golden eagle’s summer diet and are the chief food of gyrfalcons in some areas. Denali Wildlife Videos can be seen by clicking on the names of Wildlife. 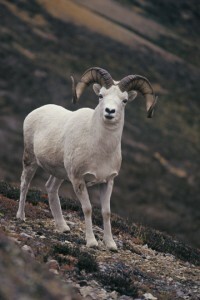 Alaska Wildlife can be seen in Denali National Park. 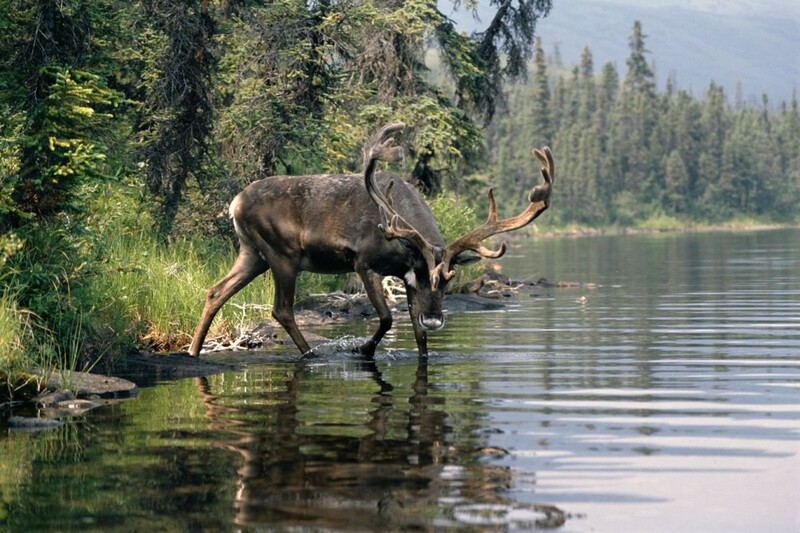 Moose and caribou are the only members of the deer family found in Denali. Caribou are circumpolar animals, well adapted to life in the Arctic. Brown bears and grizzly bears are considered to be the same species and a differentiated by geographical location. 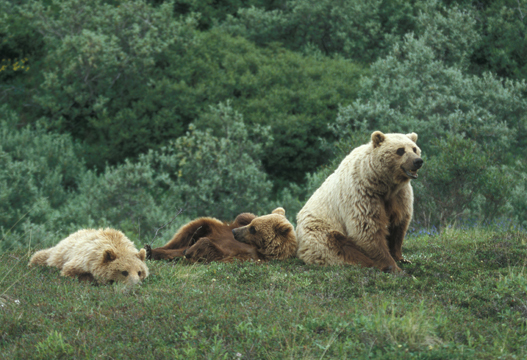 Brown bears are those that live near the coast and have access to salmon, whereas the grizzly bears live in the interior of Alaska without access to salmon and re primarily vegetarian.